The EGO Factor is one of the hottest topics when we sit down to discuss about Leadership and Entrepreneurship. 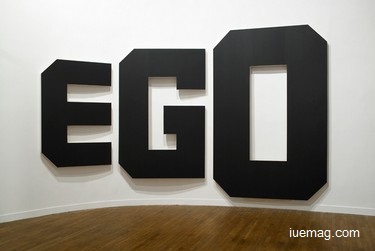 Many say that EGO means End of opportunity / Elimination of Opportunity. YES, it is very true. But, using ego in the way it has to be used will also lead to success. According to Psychology, we all have an ego, and contrary to popular perception, our ego is beneficial to our success, both personally and professionally. Ego is part of our neurophysiological system. It helps protect our self-image and self-worth, and it helps create our self-concept. Sometimes, though, our ego can get in the way, and when that happens, the concern we have for our-self overrides what actually may be happening in reality. Sometimes, it so happens that, whenever we are taunted, threatened, blamed or embarrassed by others, our over confidence triggers ego at the very wrong time. In other words, the ego makes up its own reality in response to the ‘ego arrows’ people shoot our way. This false ‘ego reality’ closes you off to the true situation and causes you to go into a defensive mode, ultimately hindering our success. We should realize that whenever the ego is in charge, it’s only telling us half the story (the story as we currently view it) not the whole story that takes into account other people’s perceptions and the facts behind the matter. Because life is complex and people are constantly shooting ego arrows at us the main job is to know when, how and how much ego should be used. Acknowledge that our ego is simply trying to protect you, but that, at the same time, is blocking off reality. And when that happens, we are figuratively crippled because we are unable to understand how we fit into the world. When we become aware of our ego response we can immediately change our reaction to the situation and keep our ego from halting our success. In other words, the moment we can say to ourselves, “Yes, I feel overwhelmed. I feel afraid. I feel threatened. I feel embarrassed,” is when we become open to the whole story and can react according to the true reality, not according to our ego’s reality. Ego is absolutely necessary. Some negative effects are isolation, arrogance but it does have positive effects too. If someone humiliates us it gives an awesome power to prove them wrong, be it through hard work or some other techniques. Ego does play a major role in relationship failures. But using the same ego to get back and set the proper track will be a better option rather than let the ego take a major role and ruin the relationship. As a conclusion; yes, ego is really dangerous if you use it every random time. At the same time it is equally useful when it is used in the way it has to be used. Usage of the Ego at the very right time in a positive manner matters a lot. Any facts, figures or references stated here are made by the author & don't reflect the endorsement of iU at all times unless otherwise drafted by official staff at iU. This article was first published here on 20th June 2015.